Regardless of whether you plan to telecommute a few days per week or you are starting your own home-based business, you need to create the ideal work environment in your home. 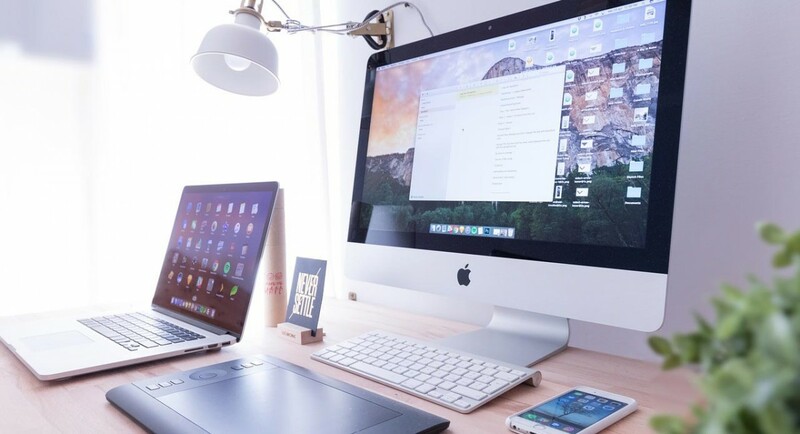 While there are some basic steps that should be followed for any type of home office, some of the steps may be specific to the type of work that you plan to do. By following a few important tips, you can create a space that is customized specifically to your needs. In some homes, there is only one realistic place to set up a home office. However, if you have some flexibility with regards to where you set up shop, consider a few important points to make a smart decision. If possible, select a workspace in a removed structure on the property. This will reduce distractions and provide you with a quiet place to work. If this is not an option, consider using a spare bedroom that you can entirely dedicate to your work activities. You can also place a desk in a corner of your bedroom, dining room or even kitchen if your space is limited. Another idea is to convert your attic, basement or garage into a functional office space. Remember to choose a space that will minimize distractions and that will be comfortable for you to work in. If you plan to meet with clients, selecting a space closer to the front of your home is usually more practical. Because you have a limited amount of space to work with and you have specific functional needs, you need to prepare a plan for how you intend to use the space. Measure the area available, and determine what features you need to place in the work area. For example, you may need a desk, a separate work table, a filing cabinet and more. Your measurements will help you to choose the right sizes of furniture and features to purchase. In some cases, your preparation plan may take into account a full renovation of the space. This will affect your timeline as well as your budget when establishing a home office. The design of your workspace is critical if you plan to have customers or clients visit you. You will need professional décor in this case. Otherwise, you can create a design that is based purely on functionality and fostering productivity. While colors and themes are important considerations when designing your space, do not overlook the importance of lighting. Lighting affects ambiance, mood and productivity. Take advantage of natural lighting as much as possible. You also may need to invest in task and accent lighting for further benefit. Desk and floor lamps provide concentrated lighting that you need to work well in the space. Don’t forget to choose LED lighting for energy savings. The next step to take when setting up a home office is to invest in the equipment necessary to complete your work functions. A desk and chair are among the most common features needed in most work spaces. You also may need an extra work station, storage features, a laptop, a printer, a fax machine or scanner, a landline and other features. While you are shopping, head to the office supplies store to purchase paper, pens, a stapler and any other necessary supplies. One important factor that is easy for many people to overlook when setting up a home office relates to safety. Identify hazards and risks in your work environment. For example, are there cords that you could trip over? Is the area properly ventilated based on the work that you plan to do in the space? Security is likewise critical. Consider investing in a home security system to thwart criminal activity and to safeguard your work area. Working out of your home offers many benefits, and you may be eager to start your journey. Before you can do so, you need to create a workspace that fosters productivity. By focusing your attention on these important steps, you can set up a wonderful home-based workspace.